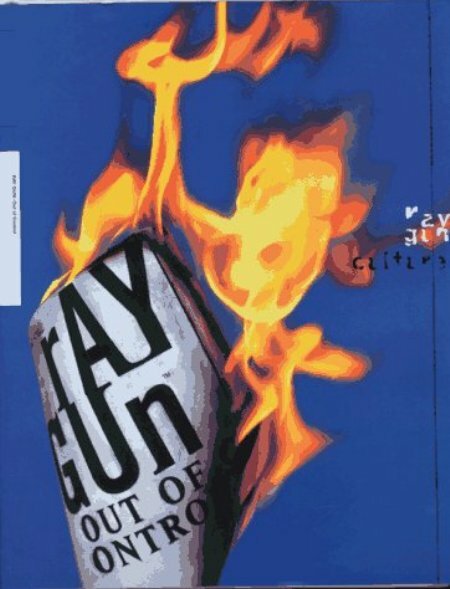 Collection of various articles and pages from the magazine Ray Gun. With a design heavily influenced by David Carson, every page is a celebration of typographical expression to a point where the content is almost indecipherable. Lots of small articles about famous alternative bands that were still hot in the 90s. Not a poster book, but this magazine was a work of art unto itself in the 90s, and featured some famous poster artists doing layouts.